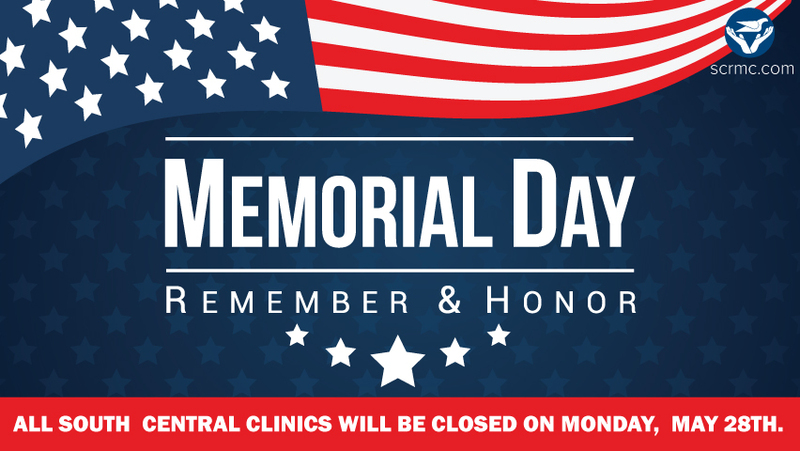 All South Central Clinics will be closed on Monday, May 28th for Memorial Day. On this holiday, South Central Regional Medical Center honors those who have died in active military service for our country. The South Central Wellness Center and Sports Performance+ will be open on Monday, May 28th from 6 a.m. – 6 p.m.